Yesterday I wrote about Dafna Meir of blessed memory, a righteous woman, a devoted mother of six children, two of them adopted, a nurse, a healer. She healed many Arabs and did not distinguish between Jew, Christian or Muslim. She was stabbed to death in her home, in front of her children. I believe mistakes were made. She lived on the outskirts of town, the area most vulnerable to attacks, and yet her door was unlocked. The reports say she was stabbed in her upper body, which is exactly the kind of attack we train for. She fought back. I assume she had no Krav Maga training. We must ask what can we learn from this incident, the positive and negative lessons. We must always be learning. She did fight back, apparently she gave it all that she had. This fighting back helped save her little children who were hiding in the house. She bought them time. The price she paid was her life, the currency was her years. She bought time with her life. The oldest daughter, 17, screamed like a maniac, always a good idea. Prof. Arthur Cohen taught me that loud noise is one of the greatest weapons we have. People fear loud noise. Back in the days of the Bible this was a common attack strategy. Trumpets and horns were commonly used (Please read about his in my book, see below, required reading for all IKI Krav Maga instructors). Recall the story of Jericho, surrounding the city and sounding the trumpets. The mother wisely instructed the children to go and hide. However, perhaps it would be better to have a plan before hand. The oldest daughter called the medics at once, wise move, sadly it was too late. Then seven priests bearing seven trumpets of rams’ horns before the ark of the Lord went on continually and blew with the trumpets. And the armed men went before them. But the rear guard came after the ark of the Lord, while the priests continued blowing the trumpets. And the second day they marched around the city once and returned to the camp. So they did six days. The woman and her oldest daughter saved the rest of the family. The screaming scared him off and he ran out of the house, leaving the children unharmed. Clearly things could have been worse. We know of cases where Arab terrorists came into homes and killed the entire family. We also know of cases where entire villages were wiped out. (though not in Israel thank God. In Arab lands in in Europe, where there is no defense there is massacre). In war there are causalities, what we must do is train and prepare to minimize causalities. The family was probably not trained in Krav Maga. There should always be a family plan of action for such an occurrence. We have clearly seen in recent months how the better prepared people are the more success there is in stopping terrorist attacks. Well trained police and military are quicker to get out their guns, civilians are more alert. The tragedy is that very soon people become complacent. These attacks were all predictable. This is not the first round of this fight, we weren't we prepared? Why weren't we more alert? Why didn't we have our hands on the trigger? Today we hear that a pregnant woman was stabbed. Thank God she survived. The attacker was only 17. He was shot in the leg but an armed civilian. So again, the defense came not from the person attacked but from a trained third party. The gun is effective mostly when used by a third party. Very rarely is a defender able to get out a handgun in time to stop a knife attack. She was later identified as Michal Froman, daughter-in-law of Rabbi Menachem Froman of Tekoa who passed away in 2013. What is "interesting" here is that Rabbi Froman was a controversial peace activist. Described as a "man who loved peace, who sought to build bridges with Arabs and who loved everyone without distinctions." Apparently all his goodwill towards Arabs had no impact on the safety of his own daughter in law. As we say pray for peace but prepare for war. 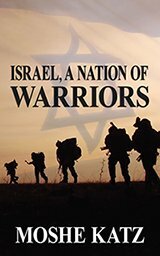 Learn the Biblical fighting history of the Jewish people and how it relates to our situation today. What are the true roots of Krav Maga? History of a fighting nation. 300+ pages.